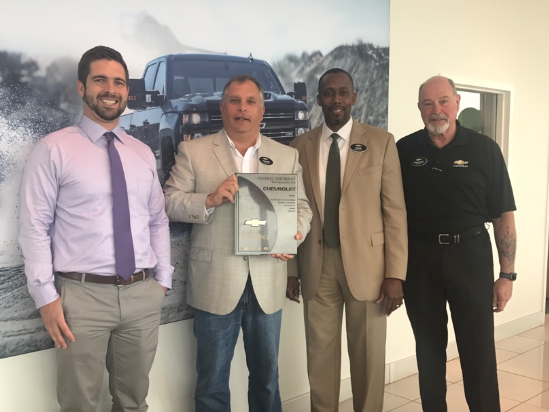 We received for the fourth year in a row the distinguished 2016 Mark of Excellence plaque from GM for exceeding 100% of the sales objective, the highest customer satisfaction score in the market, and the highest dealership training standards! 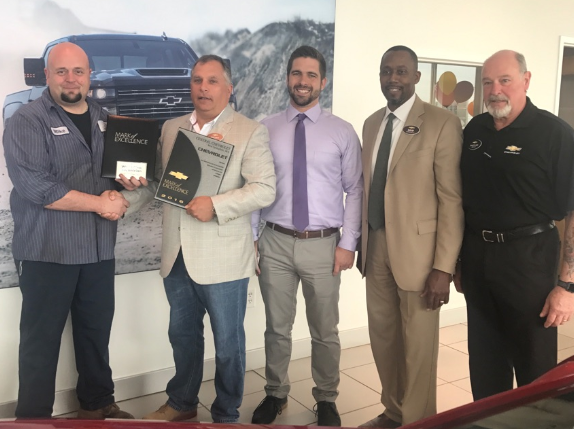 Todd Volk (President), Garret O’Keefe (Fixed Operations Director), David Cauthen (Chevrolet Service District Manager), and David Flagg (Service Manager) presented two of our service technicians the Mark of Excellence GM Master Technician award. 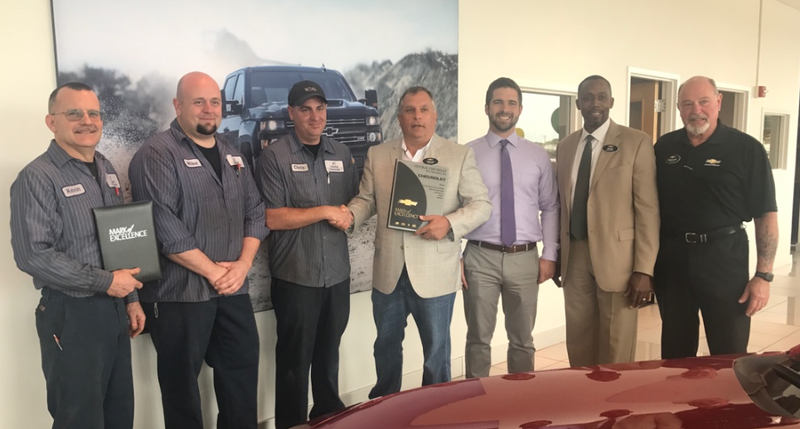 Todd Volk(President), Garrett O’Keefe (Fixed Operations Director), David Cauthen (Chevrolet Service District Manager), and David Flagg (Service Manger) presenting Michael Beauchemin the Mark of Excellence World Class Technician distinction. He was 1 of 1,256 in the whole country! 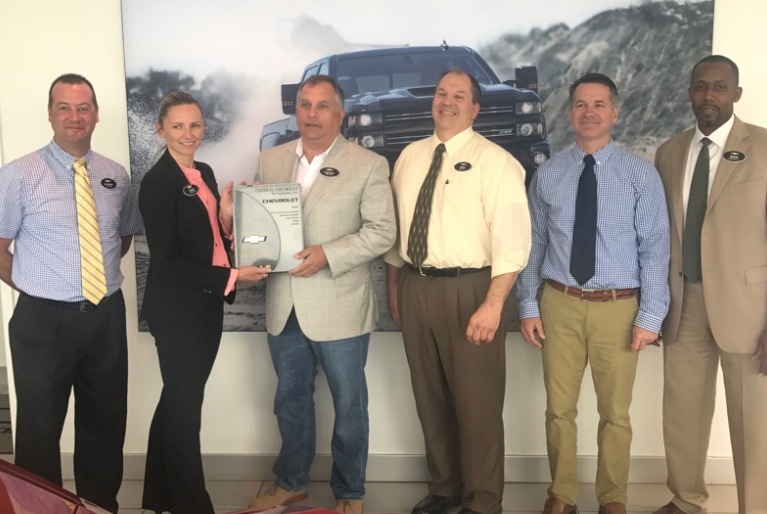 #1 Chevrolet Volume Dealer in ALL of Western, MA & Northern, CT “2nd Year” in a row. Absolute Highest Customer Satisfaction in Sales, Service, and Parts. 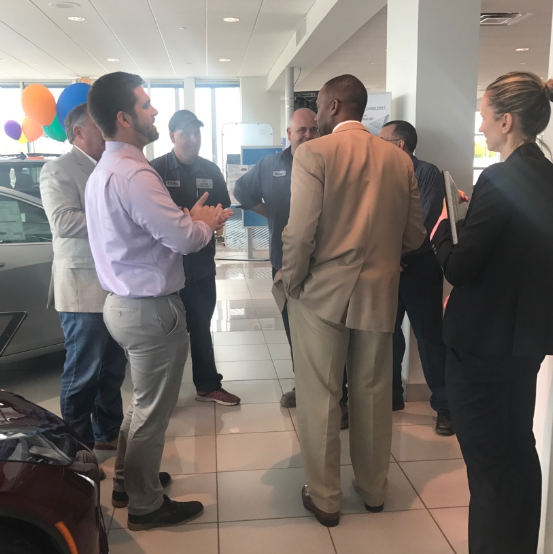 Highest achievable GM training for ALL Employee’s in the entire dealership. 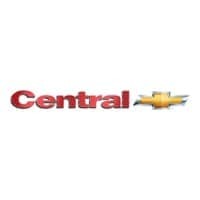 Largest Volume GM Parts Dealer.